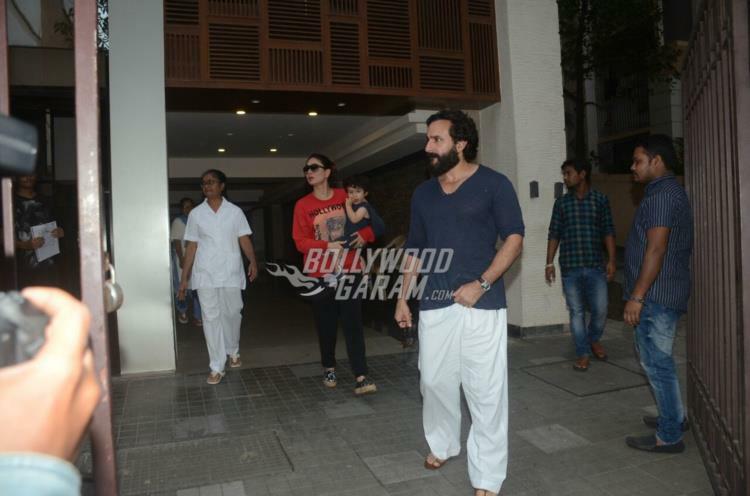 Saif Ali Khan and Kareena Kapoor along with son Taimur were snapped by the cameras as they left Soha Ali Khan’s house in Mumbai on August 3, 2018. The actors were snapped as they came out of Soha Ali Khan’s house. Saif and Kareena make sure to visit sister Soha at regular intervals despite having a busy schedule. 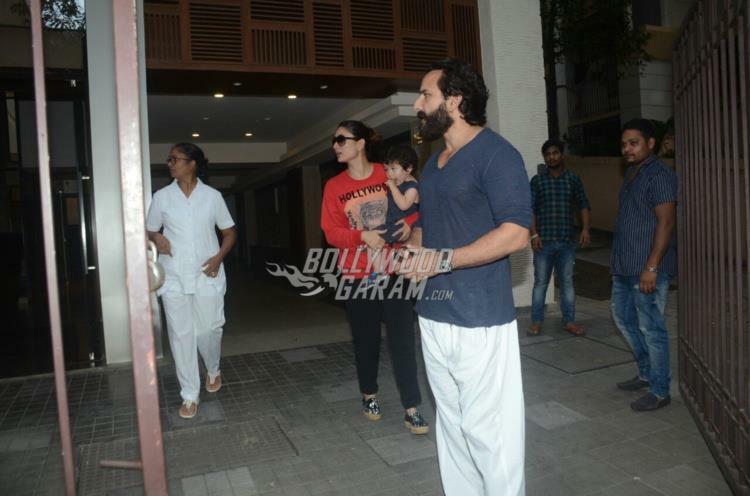 Son Taimur is often snapped by the paparazzi when he is on his way to school or on casual outings. While most of the kids get scared at this age, Taimur enjoys the attention of the cameras and is ready to make funny faces upon spotting them. The star kid never fails to entertain the paparazzi with his cute expressions. 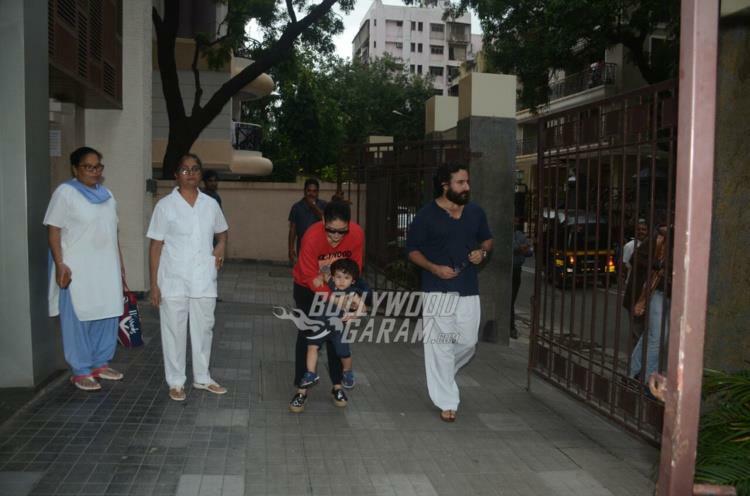 Taimur was seen being carried by mom Kareena, who looked pretty in a casual red pullover and black track pants. 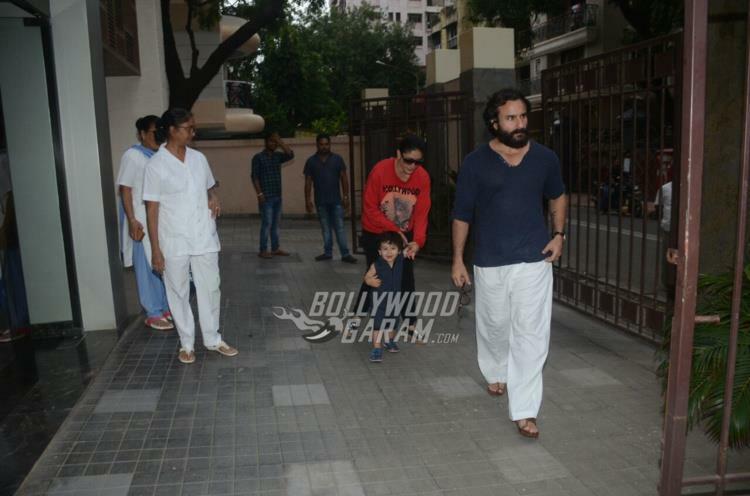 Saif was seen in a blue t-shirt and white pyjamas and sported a full bearded look. Soha’s daughter Inaaya Naumi Kemmu and Taimur often spend play time together. 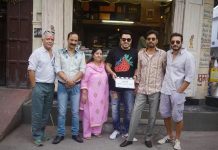 On the work front, Kareena was last seen in the film Veere Di Wedding and has now been roped in for Good News with Akshay Kumar.